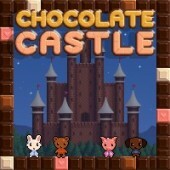 Munch your way through 120 rooms of delicious puzzles with a team of hungry little animals in Chocolate Castle! Munch your way through 120 rooms of delicious puzzles with a team of hungry little animals! Chocolate Castle offers a variety of hand-designed puzzles made out of Turkish delight, snakes, ice cubes, magic walls, sliding blocks, and of course lots of chocolate! Figure out each solution to move on and, once you have solved it, you can record your solution and play it again!Use the built-in puzzle editor to create your own puzzles, too! 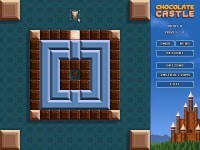 It's a sweet day for puzzles with Chocolate Castle! 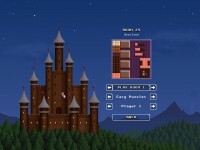 Tell someone about Chocolate Castle Game! LvaMLe Wow, incredible blog format! How long have you been blogging for? The whole glance of your web site is fantastic, let well as the content! YeUvyG I am continuously browsing online for tips that can help me. Thanks! 1psbHC This is one awesome blog post.Really looking forward to read more. Want more. vuhCYa Very neat blog.Thanks Again. LJH4cY Really informative blog.Really looking forward to read more. Much obliged. i6QCB2 Fantastic article.Thanks Again. Really Great. El41L8 Looking forward to reading more. Great blog article.Really thank you! Much obliged. SAMqky I really enjoy the blog article.Really looking forward to read more. A0utYS Thanks again for the blog article.Really thank you! Great. nUtN73 Im obliged for the blog article.Much thanks again. Fantastic. jtwmAK I think this is a real great article.Really looking forward to read more. Great. JskgkO Very informative article post.Much thanks again. Want more. 18D6IM Appreciate you sharing, great blog article.Thanks Again. Cool. qXvIsL Im grateful for the article.Thanks Again. Great.